The R&D tax credit has been around for decades. It was created to help offset some of the costs associated with research and development. In today’s technological world, innovations are crucial in remaining competitive and improving our quality of life. Technology has touched and changed just about every industry, including marketing. With so much emphasis being placed on digital media, traditional methods of marketing have taken a backseat to digital marketing tactics. Since digital marketing involves a lot of metrics and algorithms, research and development of new programs and software is a must. This opens the door for digital marketers to take advantage of the R&D tax credit. The R&D tax credit allows US businesses to reduce some of the financial burden associated with researching and developing new products and procedures, or innovating and improving existing products and procedures. 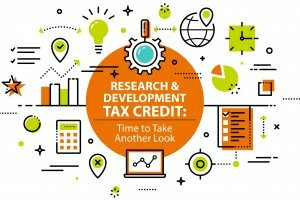 The maximum amount a company can claim is $250 K.
Due to the scientific nature of the R&D tax credit, many industries were excluded from the R&D tax credit. However, as technological innovations began permeate all industries, the landscape for R&D expanded to include businesses outside of traditional science and engineering. Since most industries now rely heavily on technology, technological improvements and innovations enable many industries who were previously ghosted from the R&D tax credit, to participate. This includes digital marketers because of the technological aspect of their business. 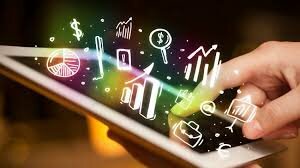 With the competitive climate of digital marketing it is important to consistently seek and innovate new ways to improve results and gain more visibility. Think bigger, bigger, bigger, better, better, better, more, more, more. This mindset requires companies to put forth more effort, man power, and funds in research and development. Development of tracking software that monitors advertising campaigns. Writing code that delivers website, applications, or SaaS services to third party clients. Designing databases to help improve speed and efficiency for clients. Developing algorithms to improve SEO, PPC, and other advertising campaigns. Creating and improving data collection algorithms. Developing and integrating CRM software. Remember the activities must be intended to develop or improve the performance and functionality of a product, technology, or service. While involving experimentation, be technological and scientific in nature, and eliminate uncertainty. In addition, in order to qualify for the R&D tax credit, digital marketers must meet income requirements. To qualify companies must have gross receipts of less than $5 million per year, and gross receipts for no more than 5 years. To see if you qualify or to learn more about eh R&D tax credit subscribe to our newsletter. Hire A Small Business Tax Accountant?